Học tiếng anh đối với nhiều người quả là một quá trình gian nan và đòi hỏi nhiều công sức. 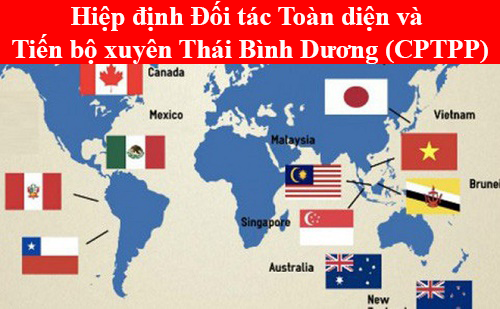 Nhưng có nhiều người học tiếng anh quả là một cực hình vì vậy hôm này mình xin chia sẽ các cấu trúc tiếng anh thông dụng mà các đề thi anh văn hay có nhé. e.g. This structure is too easy for you to remember.e.g. He ran too fast for me to follow. e.g. This box is so heavy that I cannot take it.e.g. He speaks so soft that we can’t hear anything. e.g. It is such a heavy box that I cannot take it.e.g. It is such interesting books that I cannot ignore them at all. e.g. She is old enough to get married. e.g. They are intelligent enough for me to teach them English. e.g. I had my hair cut yesterday. e.g. I’d like to have my shoes repaired. e.g. It is time you had a shower. e.g. It’s time for me to ask all of you for this question. e.g. It takes me 5 minutes to get to school. e.g. It took him 10 minutes to do this exercise yesterday. e.g. He prevented us from parking our car here. e.g. I find it very difficult to learn about English. e.g. They found it easy to overcome that problem. 10. To prefer + Noun/ V-ing + to + N/ V-ing. e.g. I prefer dog to cat.e.g. I prefer reading books to watching TV. 11. Would rather ('d rather) + V (infinitive) + than + V (infinitive:? e.g. She would play games than read books. e.g. I’d rather learn English than learn Biology. e.g. I am used to eating with chopsticks. e.g. I used to go fishing with my friend when I was young. e.g. She used to smoke 10 cigarettes a day. e.g. I was amazed at his big beautiful villa. e.g. Her mother was very angry at her bad marks. e.g. I am good at swimming. e.g. He is very bad at English. e.g. I met her in Paris by chance last week. e.g. My mother was tired of doing too much housework everyday. e.g. She can't stand laughing at her little dog. e.g. My younger sister is fond of playing with her dolls. e.g. Mrs Brown is interested in going shopping on Sundays. e.g. He always wastes time playing computer games each day. e.g. Sometimes, I waste a lot of money buying clothes. 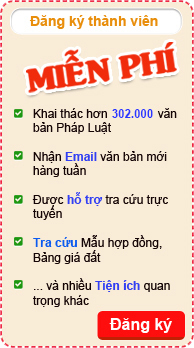 dành bao nhiêu thời gian làm gì..
e.g. I spend 2 hours reading books a day. e.g. Mr Jim spent a lot of money traveling around the world last year. e.g. My mother often spends 2 hours on housework everyday. e.g. She spent all of her money on clothes. e.g. You should give up smoking as soon as possible. e.g. I would like to go to the cinema with you tonight. e.g. I have many things to do this week. e.g. It is Tom who got the best marks in my class. e.g. It is the villa that he had to spend a lot of money last year. e.g. You had better go to see the doctor. e.g. I always practise speaking English everyday. We are interested in reading books on history. We are bored with doing the same things everyday. I don’t have enough time to study. I’m to young to get married. She wants someone to make her a dress. She wants to have a dress made. It’s time we went home. It is not necessary for you to do this exercise. We are looking forward to going on holiday. Can you provide us with some books in history? The rain stopped us from going for a walk. We failed to do this exercise. We were succeed in passing the exam. She borrowed this book from the liblary. Can you lend me some money? The teacher made us do a lot of homework. 49. CN + be + so + tính từ + that + S + động từ. 1. The exercise is so difficult that noone can do it. 2. He spoke so quickly that I couldn’t understand him. 50. CN + be + such + ( tính từ ) + danh từ + that + CN + động từ. It is such a difficult exercise that noone can do it. It is very kind of you to help me. We find it difficult to learn English. We spend a lot of time on TV.watching TV. Our teacher advises us to study hard. We planed/ intended to go for a picnic. They invited me to go to the cinema. He offered me a job in his company. You can rely on him. I’m able to speak English = I am capable of speaking English. We prefer spending money than earning money. I want to apologize for being rude to you. 1. You’d better learn hard. 2. You’d better not go out. I’d rather stay at home.I’d rather not say at home. I’d rather you ( he / she ) stayed at home today. I suggested she ( should ) buy this house. We tried to learn hard. We tried cooking this food. I remember seeing this film. Remember to do your homework. I’m going to have my house repainted. I’m going to have the garage repair my car.= I’m going to have my car repaired. We are busy preparing for our exam. Do / Would you mind closing the door for me? We are used to getting up early. We stopped to buy some petrol. We stopped going out late. (Tài liệu do Ngoại ngữ thanh niên phát hành).